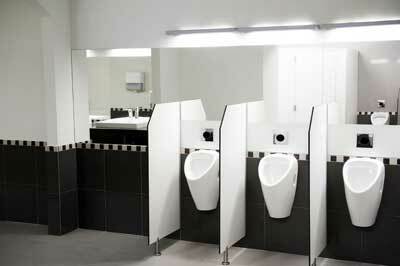 There are many benefits of incorporating our sustainable restroom products at your facilities in Washington. When you think of sustainable restroom products, you may not immediately think of the urinal systems at your facilities. However, when the time comes to upgrade your facilities with something more comprehensive, waterless urinal systems are a great place to start. At hybridH2O, we know the value of having sustainable restroom products at each of your facilities in Washington, and we can provide the solutions you need. We offer sustainable restroom products in the form of our Smarty Bee waterless urinal cartridges, urinal screens, and deodorizer domes, as well as two waterless urinal systems that make it easy to reduce your water usage and the need for ongoing custodial services at your facility. Our Smarty Bee Waterless products are easy, efficient, and cost-effective when you want to retrofit your traditional urinal system for easier clean-up and maintenance. Additionally, our two sustainable urinal systems are an excellent choice if you are interested in utilizing sustainable restroom products. Choose from our completely waterless systems, or a dual system that allows you to use water as-needed. There are many benefits of incorporating our sustainable restroom products at your facilities in Washington, and upgrading has never been easier. You will see a difference in the cleanliness of your facilities and in your reduced water bill expenditures very shortly after implementation. All of our products at hybridH2O are UPC code-compliant in the USA & Canada. Contact us today for more information about the Smarty Bee Waterless Systems and our waterless urinal systems for each of your facilities in Washington. We believe you will enjoy superior results.